It's getting to year end and we've still got 4 more MNSC dinners to go, so they're gonna come at a (relatively) furious pace. We kicked off the season with Lord Rayas once again hosting at The Pawn. It seems that our MNSC members are increasingly overlooking the food part of these dinners, and since Lord Rayas was very kind and accommodating so that the bloggueuuurrr - that would be yours truly - could taste whatever he wished, we were given the à la carte option. Charcuterie board: Ibérico shoulder, grape chutney, pickle, grilled toast, home-cured meats - duck breast, salami, pancetta, pork rillettes - as usual we shared a couple of these. I can't tell you how much I wanted to take the entire quenelle of duck liver parfait and spread it on endless slices of brioche. Oh, and that quenelle of rillettes, too! That (onion?) chutney was damn good. Soy marinated mackerel, coriander powder, burnt onion - this turned out to be a wise choice. I can never resist the flavors of a good mackerel, and having it marinated in soy just made it even better. Loved the pickled cucumber and burnt onion on the side. Herb brined lamb rump, spiced chickpea stew, courgette fritters - in retrospect this was probably the wrong thing to order at a serious wine dinner, as the smell of cumin and other spices filled the air around me. But it was so damn good! The New Zealand lamb was very, very tender... with just the right amount of lamb fat for that incredibly satisfying lamby flavor. I'm normally not a big chickpea guy, but even I couldn't stop spooning the stew onto my plate. Finally, I wish I had enough stomach space to devour the courgette fritter. It kinda looks like a quiche and it was just very, very tasty. Beef burger 'extraordinaire', smoked cheddar, double onion, plum jam - we took one order of the burger and divided it up "mooncake-style" so that each of us had 1/6 of it. Unfortunately, the bottom part of the bun was completely soggy by the time I got to it, but that deep-fried onion ring was very yum. Crisp fried onion rings and big chips in beef dripping - speaking of deep-fried onion rings... these were just awesome. In the middle of dinner, Tom Aikens came by to greet the bosses. Apparently he's just arrived from London in time for the first anniversary of his collaboration, and will be sticking around for a couple of weeks. 1996 Salon - very nice and toasty, some lemon notes, pretty round on the palate, smooth, with some acidity at the end. So glad that this is finally starting to open up and drink well. First flight: opened 100 minutes before serving, not decanted. 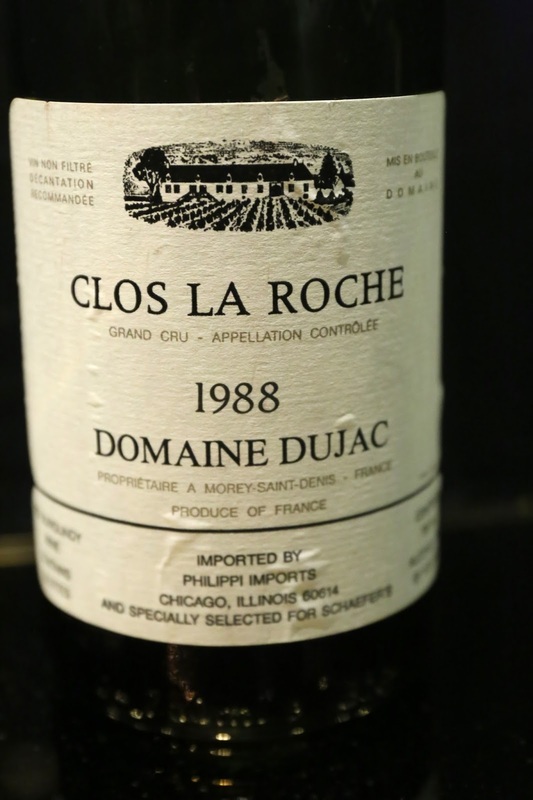 1988 Dujac Clos de la Roche - really sweet nose, with lots of fruit. A little more smoky later. A little grippy on the palate. 93 points. 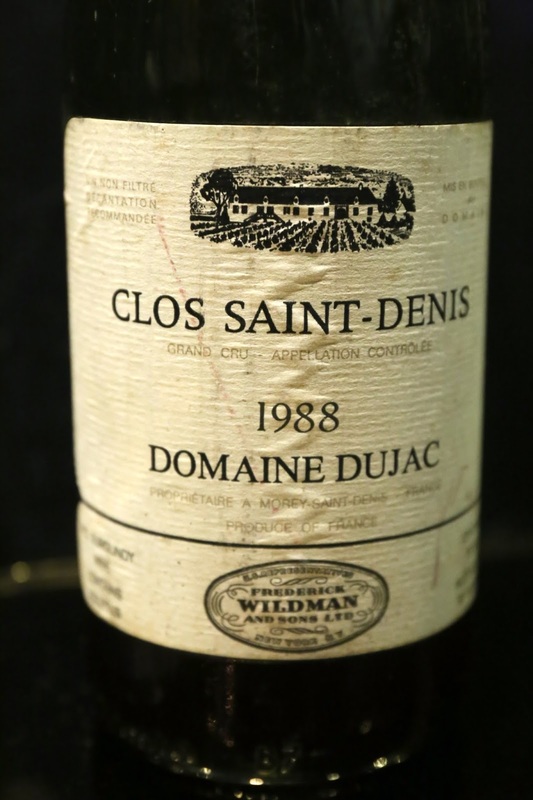 1988 Dujac Clos Saint-Denis - a little more animal notes in the nose, more dried herbs, really beautiful and floral, and a little more toasty. More full-bodied. 95 points. Second flight: opened 2½ hours prior to serving, not decanted. Both bottles ex-domaine. 1996 DRC Romanée-St-Vivant - nice fruit in the nose, but also a little plastic initially, and alcoholic. A little toasty and minty. Light on the palate. 93 points. 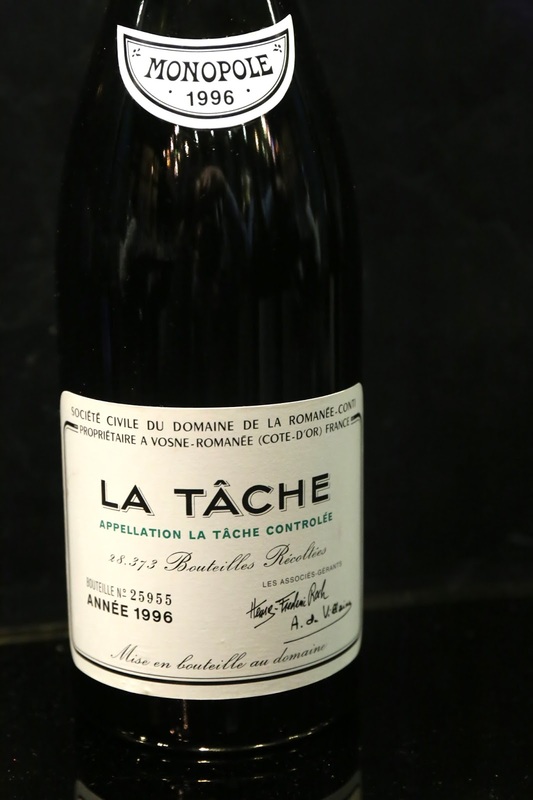 1996 DRC La Tâche - much more fruity nose, more minty, sweet and ripe. Very nice. A little thin on the palate. 94 points. Third flight: opened 2½ hours prior to serving, not decanted. 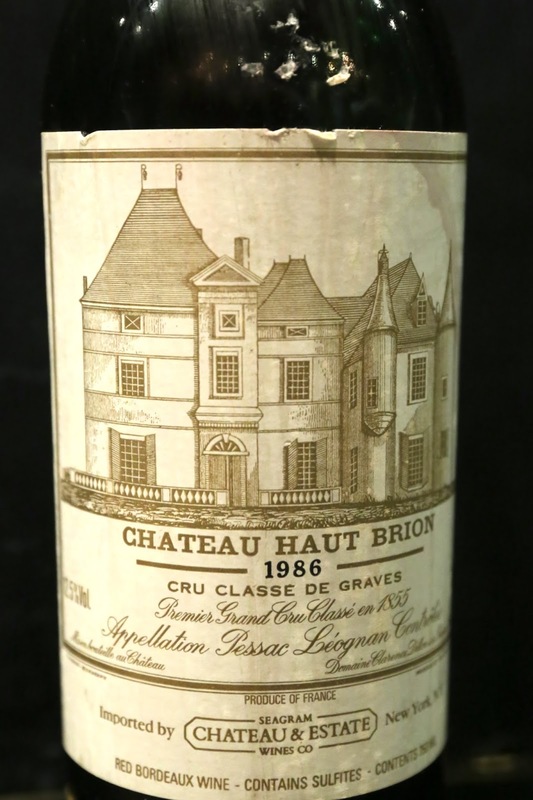 1985 Haut-Brion - very stinky, manure, animal, and medicinal nose. 94 points. 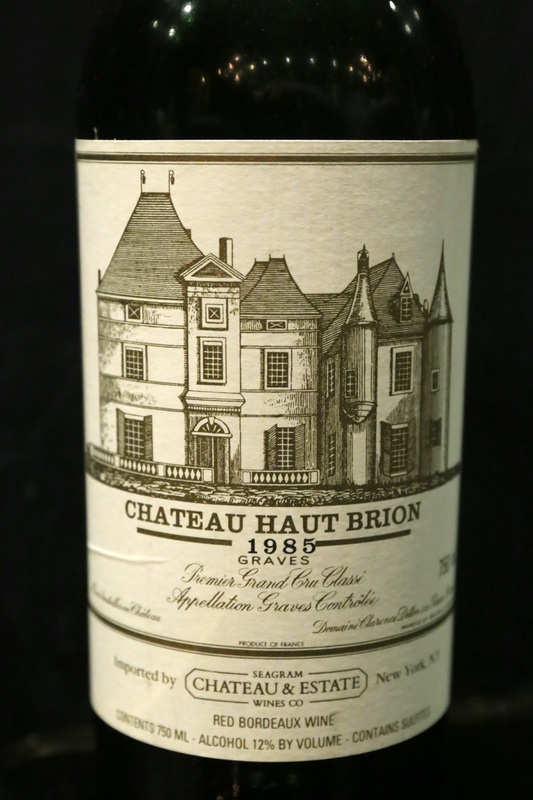 1986 Haut-Brion - a little riper, cool, hint of pencil lead, hint of medicine, with smoke, earthy, and stinky nose. Slightly savory on the palate. 95 points. 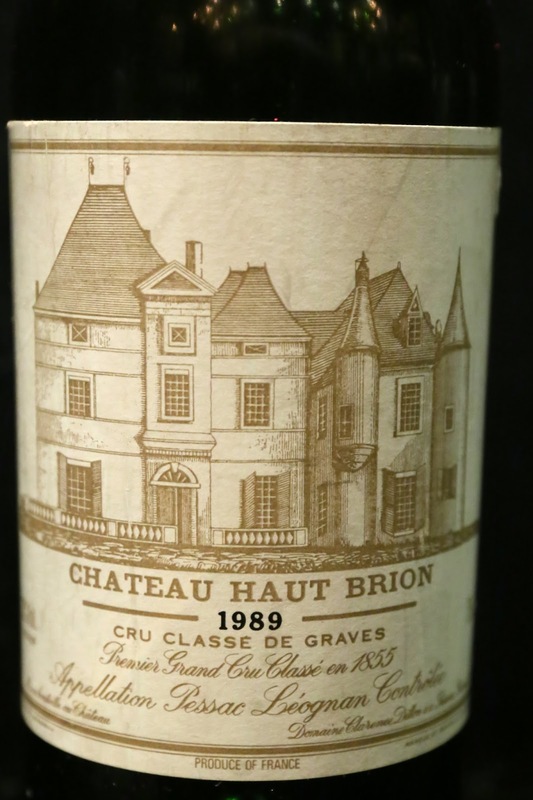 1989 Haut-Brion - definitely smoky, cigar box, with pencil lead and a little earthy nose. 95 points. 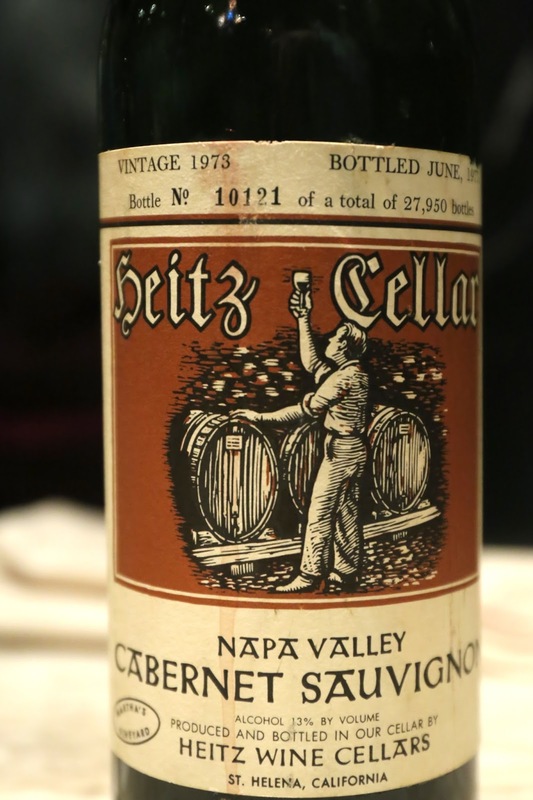 1973 Heitz Martha's Vineyard - a little grassy and sweet, minty. 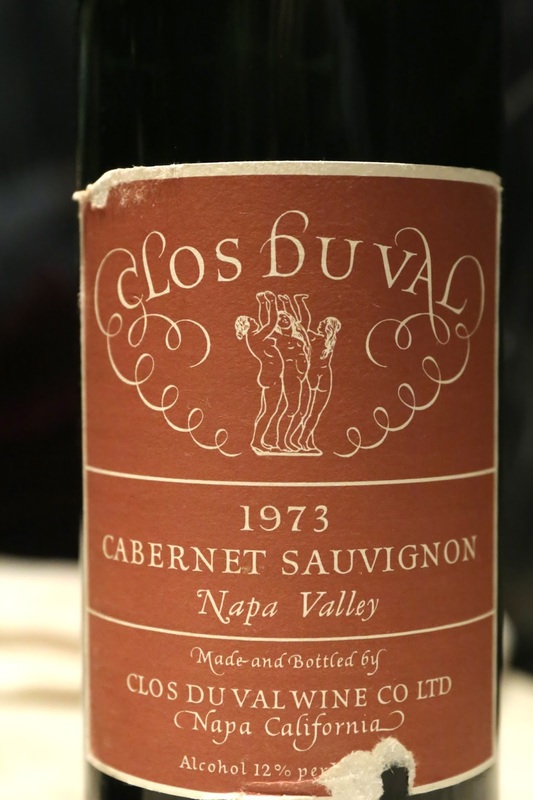 1973 Clos Du Val - maderized with grassy notes.